Do to weather the Ganges Centennial Harbour tagging and inspection of fire extinguishers is canceled. Thank you. During this time there will be information on the type of services that this company can bring to your home, Boats and business. people will also have the opportunity to bring in there fire extinguishers to be inspected and tagged or purchase new ones. The province is exploring what more can be done to get more carbon monoxide alarms installed in homes and buildings, including possible changes to current legislation. Mandatory carbon monoxide alarms could save lives in businesses and homes. Annual testing and sampling can help insure the devices and appliances are working properly. An American company is recalling 37 million fire extinguishers in the U.S. and 2.7 million in Canada because they can get clogged or require excessive force to discharge and won't work in an emergency. Kidde Corporation, based in North Carolina., said Thursday it is recalling 134 different brands of fire extinguishers manufactured between Jan. 1, 1973, and Aug. 15, 2017. The recall includes models that were recalled two years ago. The list of affected Canadian models is here. The list of affected models in the U.S. can be found here. The U.S. safety regulator, the Consumer Product Safety Commission, said in a release it is aware of 391 instances in which the extinguishers failed, which resulted in at least 16 injuries, 91 instances of property damage and one death, in 2014, when emergency responders could not get an extinguisher to work following a car crash. Saeed Sedarat, the general manager of fire safety equipment seller Tesla Electric Ltd. in Toronto, says his company doesn't sell the extinguishers in question because he finds them inferior to metal-based industrial ones he favours. "It's because it's cheaper plastic," he said. "Big-box store retailers ... sell these Kiddes with the plastic top but when they bring it to us we refuse to refill them because they're going to lose their charge." "I tell all my customers 'we do not touch or recharge the ones with the plastic part,'" he said. "It was a known fact for the past few years." Alongside the CPSC in the U.S., Health Canada says it has received two reports of failed activation in Canada, one involving property damages. No one was injured in either incident. Health Canada is asking anyone with an affected fire extinguisher to contact the company at 1-855-233-2882. In the U.S. customers are urged to call 1-855-271-0773. The company says customers will be sent a replacement unit, free of charge, within two weeks, and no proof of purchase is required. Sedarat says the recall should serve as a reminder to Canadians that are cutting corners with fire safety. He recommends one up-to-date extinguisher on every level of a home, displayed prominently. "It's a matter of prevention," he said, "it's like insurance." Salt Spring Island Emergency Program will be hosting a event at 351 Rainbow Rd. Farmer's Institute Saturday, May 5th from 10am - 2pm. 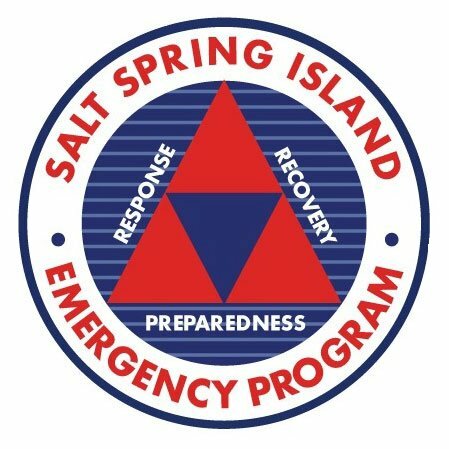 During this time Salt Spring Island Fire Protection will have information on the type of services and products that the company can bring to your home or business. There will be an opportunity to bring in your fire extinguishers for inspection at $8 a unit or purchase new fire extinguishers or safety equipment. Proud Of Our Past. Dedicated To The Present. Committed To The Future. Salt Spring Island Fire Protection is proud to present a verity of fire safety services and various articles and information that may interest you at the Home and Garden show. We have a wide range of services and great professional standards. We invite you to come down and and view are services and talk to are team.